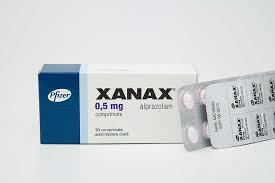 Xanax is a common benzodiazepine class drug for patients with anxiety disorder and depression. At standard doses, it helps promote a state of relaxation, but there has been a steady rise in the instances involving the abuse of Xanax and other benzodiazepines. Many tests are now available to detect the substance in your body's tissues and fluids. Many organizations now test you for benzodiazepines before employing you, which makes many people ask how to get Xanax out of your system. If you have been taking Xanax, you may not be able to apply for many constructions, military, driving, and some medical positions, as they all test you for benzodiazepines. Let's find out what you can do to get it out of your system. As compared to a long-lasting drug Valium, Xanax does not stay in the urine for very long. After ingestion, it is likely to stay in your system for1-4 days. Those who have been taking it for long may not be able to clear a test taken up to 6 weeks after last use. However, you need to bear in mind that many factors play a role in determining how long Xanax stays in your system. One individual may have no traces of Xanax in their body in 3 days, while others may require longer to get rid of Xanax completely. Some of the most common factors affecting clearance include body height, age, body weight, poorly functioning kidney, metabolism, liver problems, the length of use, urinary pH, and frequency of use. Genetics also play a role in determining how your body metabolizes Xanax. To learn how to get Xanax out of your system, for professional or personal reasons, you should start by discontinuing use. You may have to ask your doctor to prescribe a different drug if you have been taking it to treat depression. Do not stop its use without talking to your doctor, especially if you are a long-term user. Once you have stopped using it, you should adopt healthy habits, such as dieting and exercising to eliminate it from your system. Does Xanax Show Up on a Drug Test? Blood Test: It is among the most invasive types of tests designed to detect Xanax in the system. While it is usually not ordered that often, it may be necessary under certain circumstances. For instance, medical professionals may ask for a blood sample in case of suspected Xanax use. The thing is that blood tests can detect Xanax effectively, but may work only when taken within a few hours of Xanax ingestion. That limited detection window is the reason why a blood test is not that common for Xanax detection. Saliva Test: It is not a common test for Xanax detection because it is much more expensive than a urine test. It is possible to detect Xanax through saliva after 2-3 days of ingestion. Due to this extended detection window, a saliva test is more accurate and effective than a blood test. Hair Test: It is possible to detect the use of Xanax through a hair sample. The method used in this case is called radioimmunoassay (RIA). The method can be used to detect Xanax in a hair sample for up to 28 days after ingestion. The test involves checking the presence of metabolites such as alpha-OHLAP and 4-OHALP. Urine Test: It is the most common test used to detect Xanax. Around 20% of the oral dosage of Xanax is usually present in your urine, and GC/MS analysis of the urine can easily detect benzodiazepine metabolites in the sample. The test can detect the substance up to 7 days after ingestion. By getting a better understanding of different types of tests used to detect Xanax, you will be in a better position to learn how to get Xanax out of your system. While many factors are at play here, here are a few tips to help expedite the clearance process. Discontinue its use to ensure it no longer shows up in your system. Keep in mind that you should always stop its use under medical supervision because stopping it suddenly could lead to several complications. Once you have stopped its use, you need to avoid going back on it or else it will not be possible to get it out of your system. Take CYP3A4 inducers for help. Experts believe that taking certain CyP3A4 inducers can facilitate the clearance process by increasing the rate at which the body uses and excretes Xanax. Do not take a CYP3A4 inducer on your own and always ask your doctor for assistance. Increase the pH of your urine. Urine tests check the presence of Xanax metabolites in the sample, but you can increase the rate at which your body excretes Xanax by increasing the acidity of your urine. Be sure to exercise regularly. Regular exercise helps accelerate the basal metabolic rate, increase circulation, and improve organ functionality. Even a short-walk on a daily basis will do the trick – a light jog may work even better to help excrete Xanax. Following a sedentary lifestyle will slow down your metabolism and prolong clearance. Keep your body hydrated. You should drink plenty of fluids to help flush Xanax out of your system. Include more fruits and veggies in your diet to increase your intake of antioxidants, which in turn facilitate the excretion process.